Are you still working in SSMS? 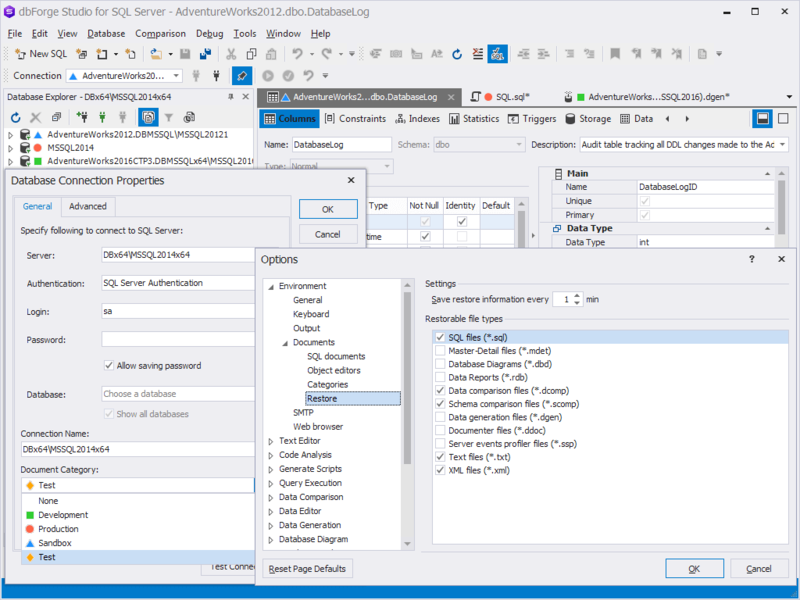 Try dbForge Studio for SQL Server! 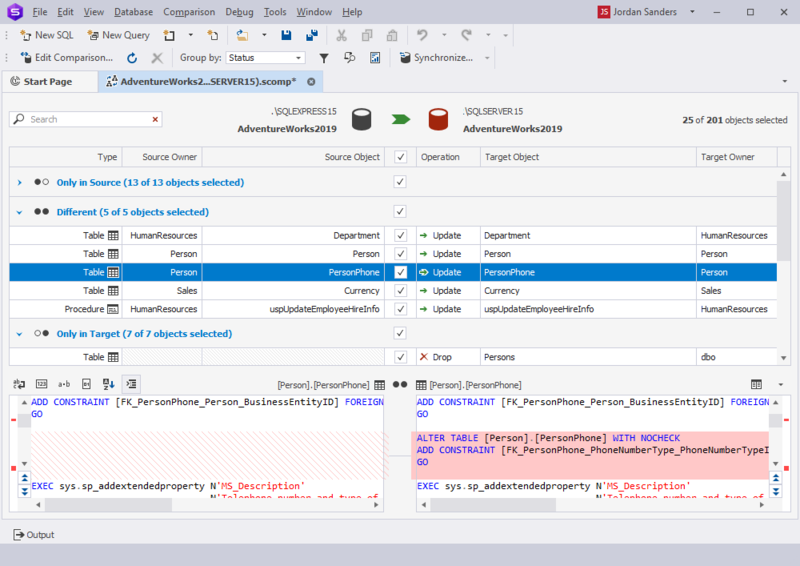 It is all-in-one GUI for SQL development and management with lots of advanced features, easy-to-use interface, and high performance. 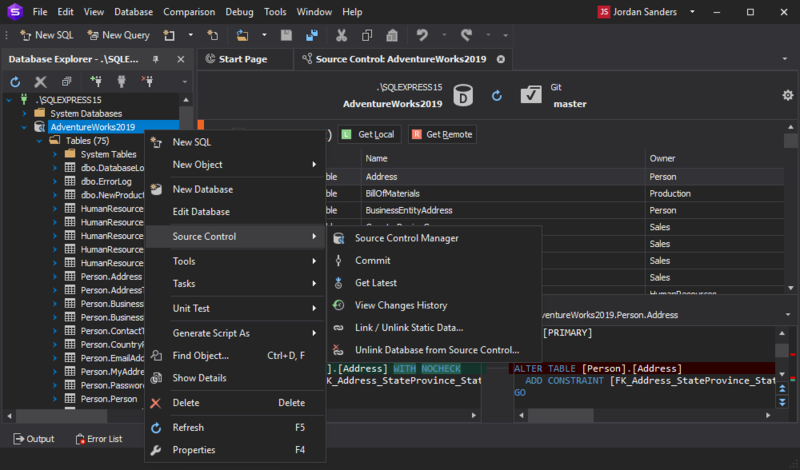 Take a look at the main advantages of dbForge Studio for SQL Server over SSMS that make your development process more efficient. 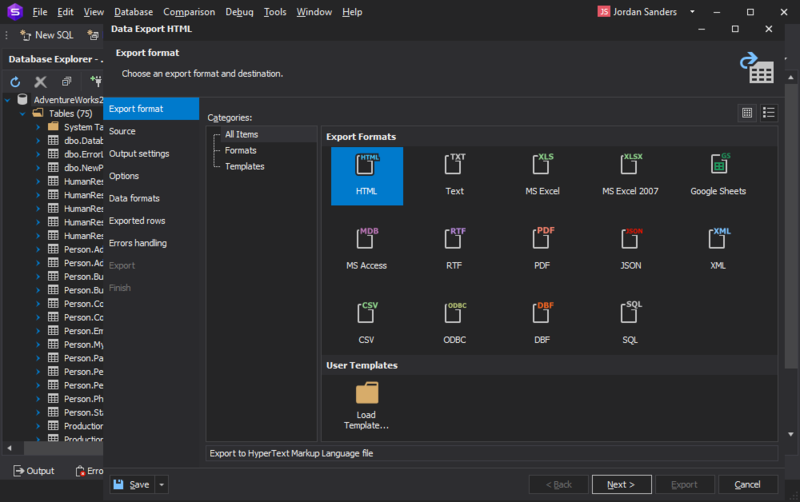 Smart code completion, code formatting, SQL refactoring, snippets, profiles, statement expansion, column picker, and much more! 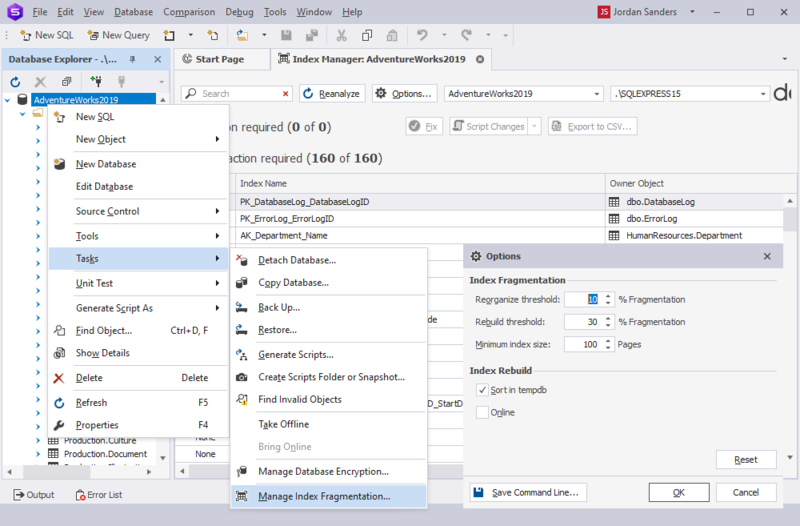 Compare data in different SQL Server instances and generate synchronization scripts. 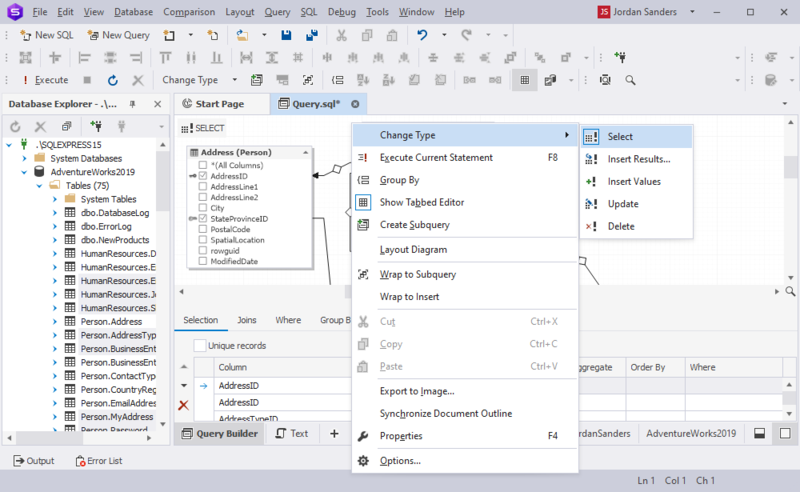 Make a practice of managing database changes in source control. Get the benefits from viewing the change history, navigating between different revisions and merging. Quickly collect index fragmentation statistics and detect databases that require maintenance. 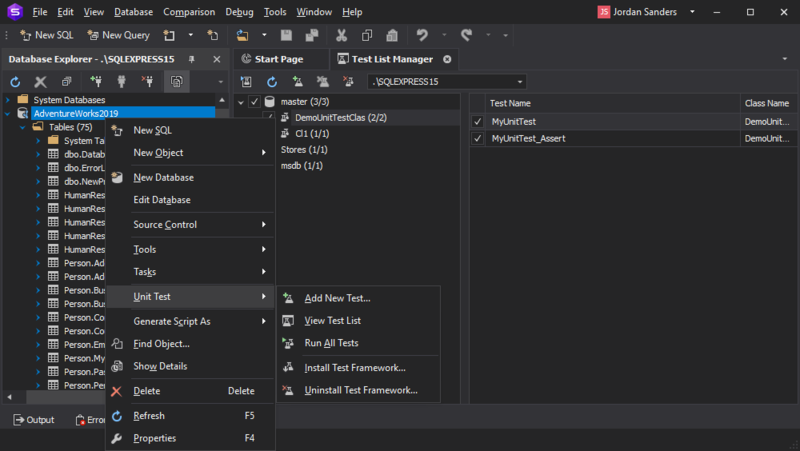 Implement Automated Unit Tests Based on the tSQLt Framework. 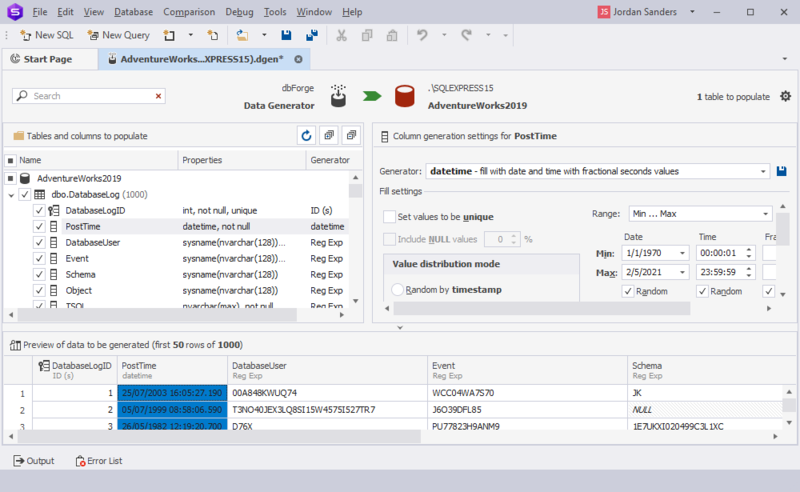 Built-in Data Generator allows you to populate an empty database with a hundred thousands of meaningful test data. With this tool, you can quickly create complex statements with multiple tables, conditions, and subqueries without manually typing the code. Our tools support 10+ widely used data formats such as CSV, Excel, XML, JSON, a number of advanced options, and templates for recurring scenarios, customizable command line import and export. 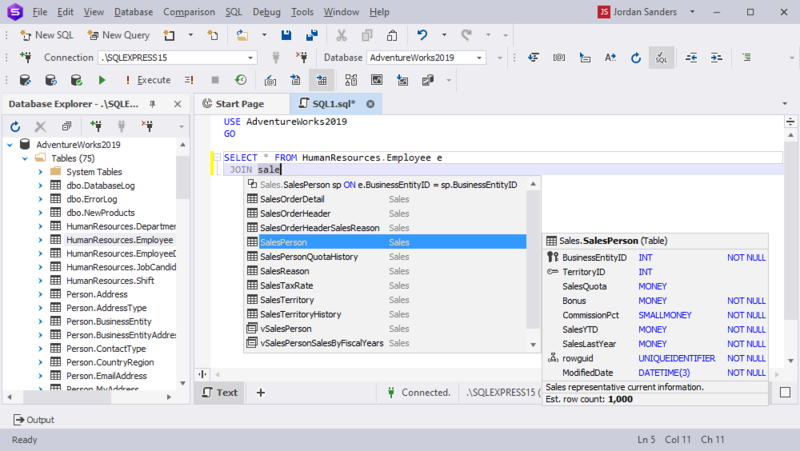 The UI is intuitive and very close to SSMS. The great number of handy features includes restoring of opened tabs after the application crash or accidental closing, document categories for multiple connections and much more.